© 2012 Scherbak Ship Models. All rights for text and pictures reserved. OHIO-class US Navy nuclear submarine letter opener knife. This exquisite letter opener is handmade in USA by marine artist Alexander Scherbak. It is carved from carefully selected African ebony wood (black) and South American boxwood (yellow). 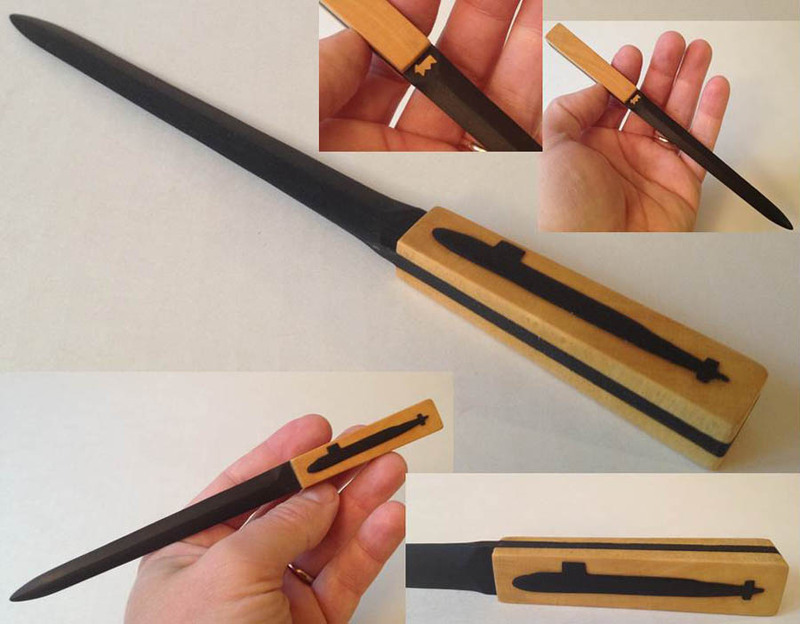 One side of the handle shows ebony wood silhouette of the Ohio class sub made in scale 1:3000. Other side shows Scherbak logo made of boxwood. Nicely polished and finished for long lasting use. Only few made. Price and pictures available on request.